My belly is huge; my emotions are scattered; my sleep is sporadic; every inch of my body is achy; and my insulin doses are being adjusted every day – welcome to the home stretch baby. On Thursday, we officially hit the 30-week mark, which means if everything goes as planned Big Ring and I will be meeting our little thumb-sucking alien baby in just under two and a half months. And if those months are anything like the last week has been, I might as well just extend my pre-apologies right now to my dear husband. I may have driven him to crazy Roger Rabbit status this week! This week I was on holidays and it was a tough go for me. I’m an active person, I like to keep busy, I like to do things, but these days, I can barely climb a flight of stairs without huffing and puffing. There’s been no hiking (unlike my last holidays), hardly any walking, hardly anything at all. 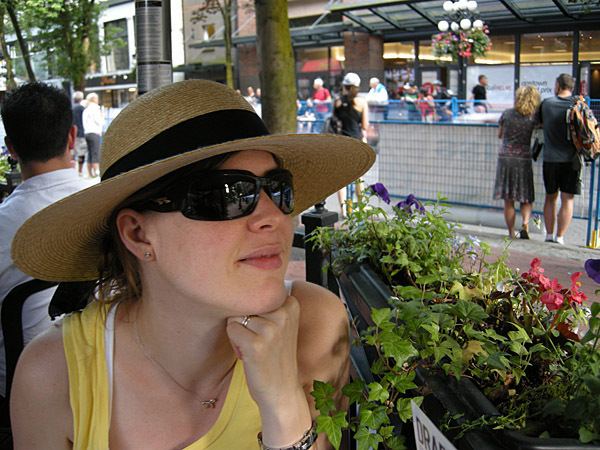 My view of anything athletic these days is generally in sit-down mode like I was while watching the Gastown Gran Prix last Wednesday. And while we did spend a few days in Penticton last weekend, it didn’t feel like a real vacation in that I wasn’t as mobile, didn’t have oodles of energy or a dance in my step like I would have pre-pregnancy. I was achingly uncomfortable, sauna hot, and sweating buckets – seriously I was close to becoming a freaking nudist! The view from Poplar Grove Vineyard. 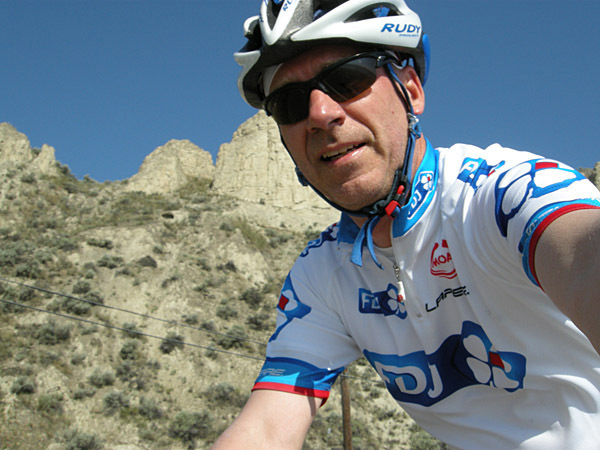 As well, this week was the second week of Tour de France time; traditionally the start of Big Ring’s two-week cycling holiday, which has him getting up before the crack of dawn to watch hours of cycling before heading out himself for hours on the Lapierre… something I’ve always supported. But this year, it was like a freaking emotional tug-of-war for me. On the one hand, I felt like I was holding him back when he didn’t go for a ride, but on the other I was super jealous when he did kit up. One of many holiday rides for Big Ring. This was huge for me. I do not like feet, I do not like my feet, and I most definitely do not like people touching my feet. But my gawd, sitting in that massage chair, with my feet soaking in the tub (I sure as heck hope I don’t get any nasty germs) I nearly passed out from all the bliss. I still had issues with them touching my feet, and nearly kicked the girl in the face a couple times, but after the polish was put on, I seriously haven’t been able to take my eyes off my toes – and I’m actually wearing shoes to show off my toes! SHOCKING!!! 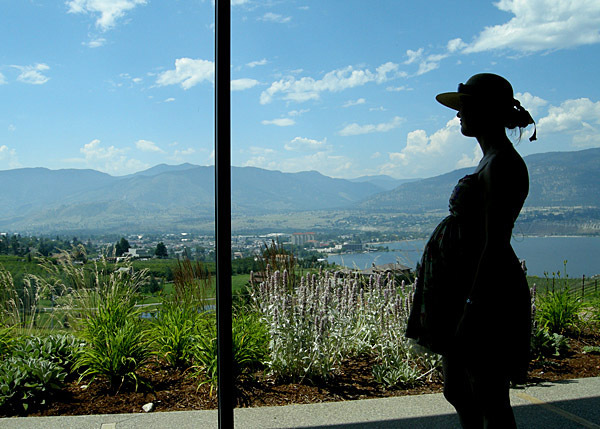 This entry was posted in Diabetes, Pregnancy in Diabetes, Uncategorized and tagged 30 weeks pregnant, Gastown Gran Prix, pedicure, Penticton vineyards, pregnancy hormones, pregnancy in diabetes, pregnancy meltdown, Tour de France, Type 1 diabetes. Bookmark the permalink. Ooh la la. How cannot you not love those feet? They are perfect, your toes literally twinkle with the color. You have finally discovered the female holy grail, the universal pick me up for women, wives and mothers. There’s nothing better for the price, it’s not fattening, it comes in different colors, and it is well uplifting. Just think, eight more pedis before baby. Even MacGyver enjoys a pedi when we’re in Asia. But don’t let Big Ring try it, this restorative woman time. We are living parallel lives, you and I. I had a crazy pregnant lady breakdown last week that was due in part to how crappy and tired I’d felt on our week off (Friends for Life) and the fact that our house smelled like polyurethane floor finish and all I wanted to do was go to a super-cool air-conditioned bar and drink beers. And I, too, have been soothing myself with pedicures. I’m starting to feel like it’s all I’ve got left! Harvey loves a pedi also! Can’t believe you did this, well done!! !